It’s July, and I’ve had a busy summer so far. This is my first post in a few weeks – I’ve been out at various meetings, and last week I spent with my family on vacation. The one week of normal work I had was spent furiously working to help a colleague put together a paper. That left me no time to share pretty pictures with the world. So finally I’m back and able to make another blog post. I decided to make it simple: just a field of pretty barchans. 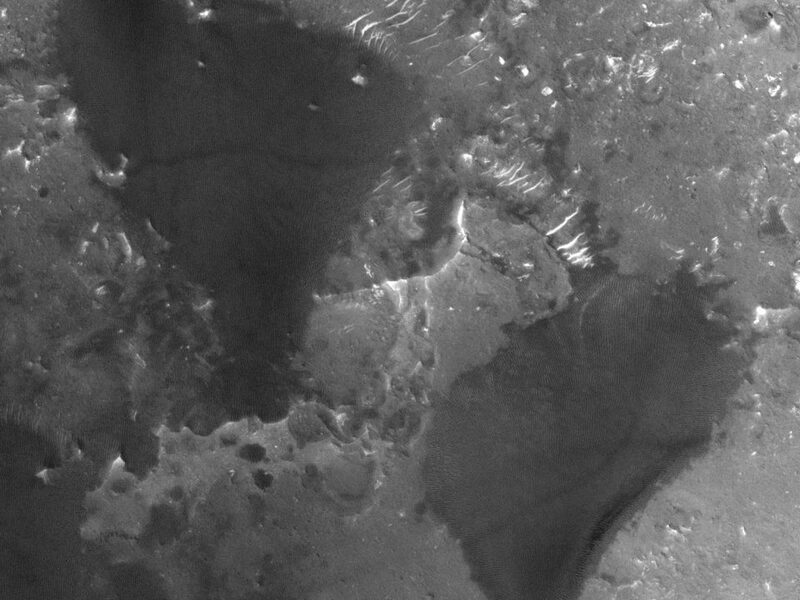 View is 750×500 m (0.47×0.31 mi), HiRISE ESP_03894_2295, NASA/JPL/Univ. of Arizona. 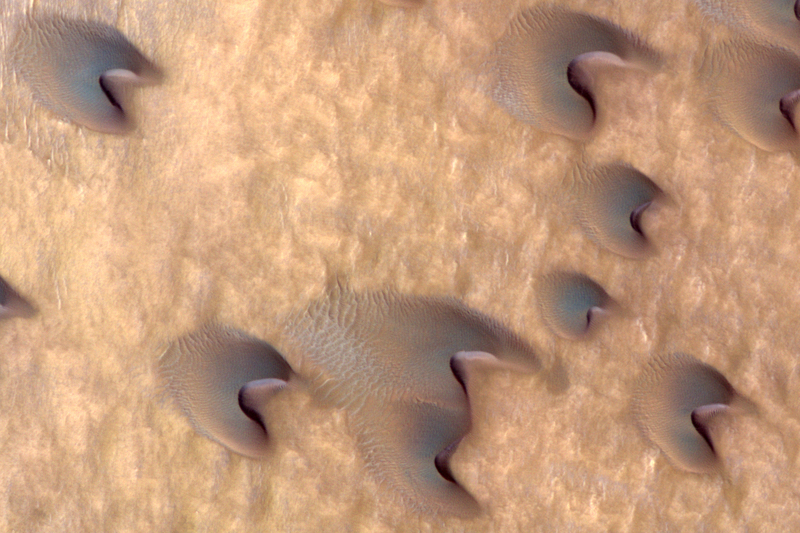 Barchans are one of the simplest types of dunes – they’re just piles of sand blown by wind coming from only one direction. 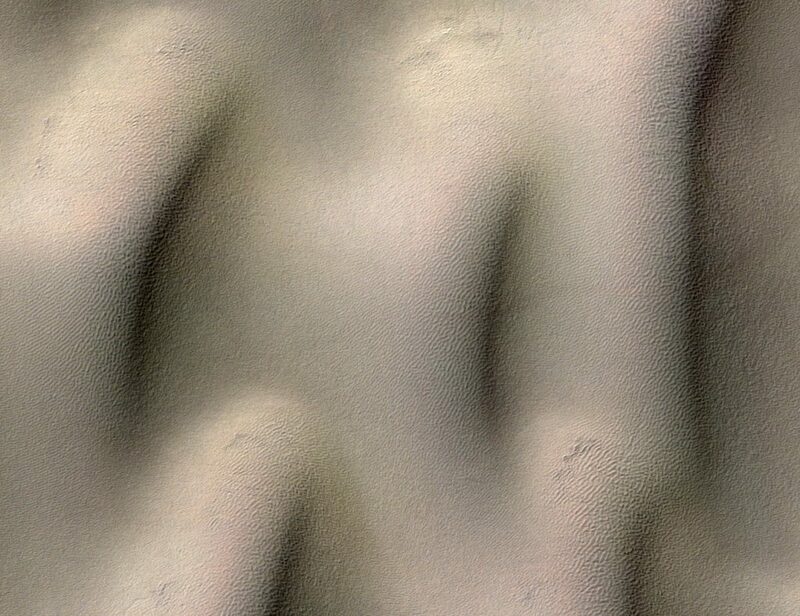 The barchans here in Lyot crater are some of the smallest dunes (the smallest one here is ~60 m, or ~200 ft across, which is about as tiny as the dark dunes on Mars can get). 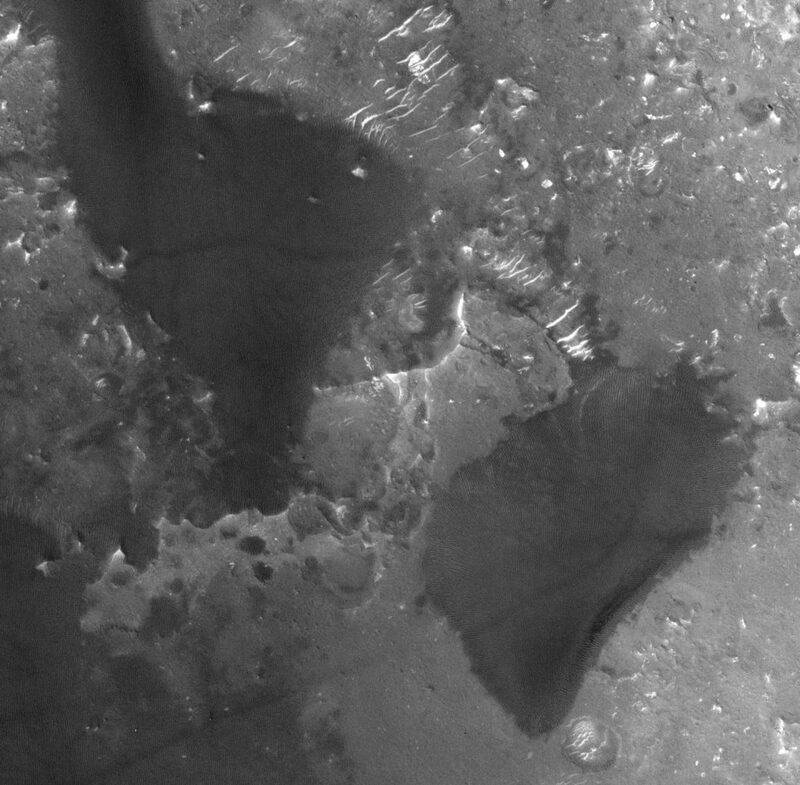 They slowly march downwind (toward the lower right) with open arms. 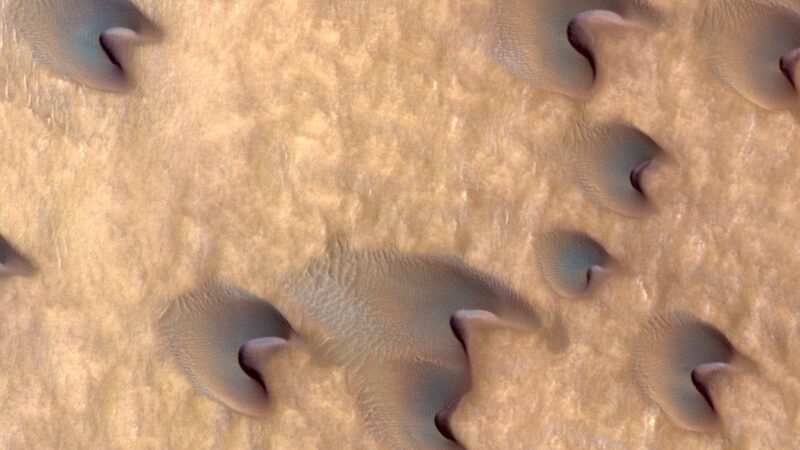 Crests of the dunes show darker grayish sand, but the orangey color near their base suggests there’s been some fine dust fallout. 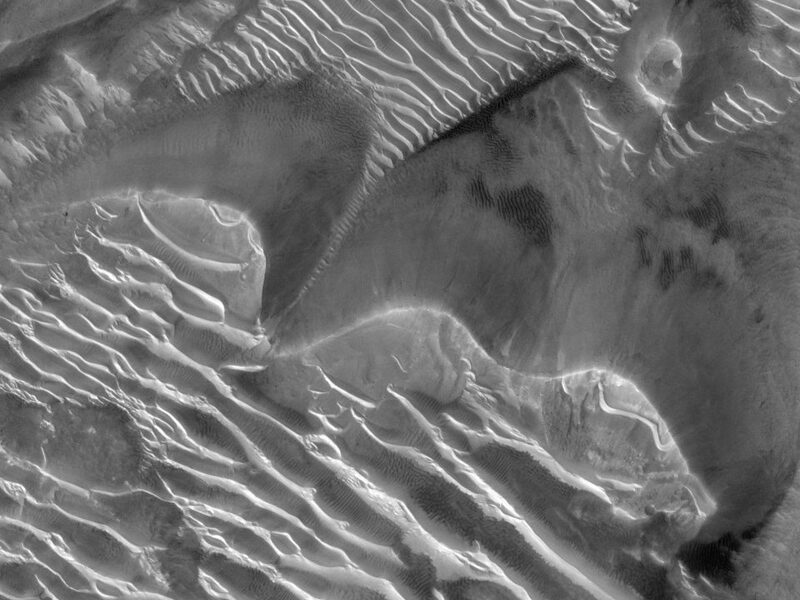 Winds accelerate up the slopes of the dunes, so that sand movement is strongest at the crest. 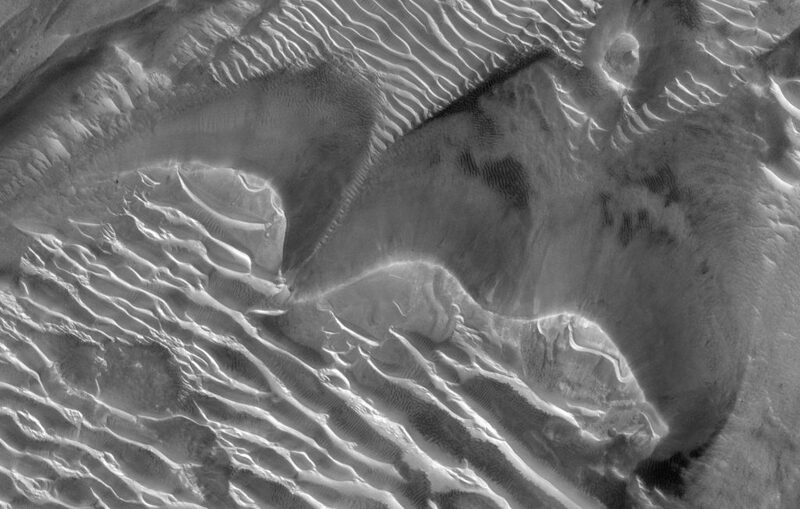 It is this mobilization of dark sand that scours off the finer bright dust that piled up during a less windy season.